Prof. Ling Cen is an Associate Professor of Finance at The Chinese University of Hong Kong (CUHK). 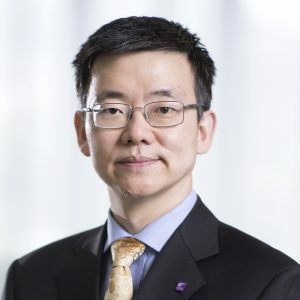 Before joining CUHK, he was an Associate Professor of Finance at the University of Toronto. His early research was mainly on behavioural finance. In his recent work, he conducts interdisciplinary studies of corporate finance and operations management, focusing on the role of supply-chain relationships on various aspects of corporate decisions. He is also interested in the role of buy-side and sell-side analysts in earnings conference calls. His papers have been published in the Journal of Financial Economics, Management Science, The Accounting Review, Journal of Financial and Quantitative Analysis, and Review of Finance. Ling Cen, Feng Chen, Yu Hou, and Gordon Richardson (2018), “Strategic Disclosures of Litigation Loss Contingencies When Customer-Supplier Relationships Are at Risk,” The Accounting Review, 93(2), 137-159. Ling Cen, Ed Maydew, Liandong Zhang, and Luo Zuo (2017), “Customer-Supplier Relationships and Corporate Tax Avoidance,” Journal of Financial Economics, 123(2), 377-394. Ling Cen, K.C. John Wei, and Liyan Yang (2017), “Disagreement, Underreaction, and Stock Returns,” Management Science, 63 (4), 1214-1231. Ling Cen, Sudipto Dasgupta, and Rik Sen (2016), “Discipline or Disruption? Stakeholder Relationships and the Effect of Takeover Threat,” Management Science, 62(10), 2820-2841. Ling Cen, Sudipto Dasgupta, Redouane Elkamhi, and Raunaq Pungaliya (2015), “The Effect of Customer-Supplier Relationship on the Loan Market,” Review of Finance, 20(2), 501-533. Ling Cen, Kalok Chan, Sudipto Dasgupta, and Ning Gao (2013), “When the Tail Wags the Dog: Industry Leaders, Limited Attention and Spurious Cross-Industry Information Diffusion,” Management Science, 59(11), 2566-2585. Ling Cen, Hai Lu, and Liyan Yang (2013), “Investor Sentiment, Disagreement, and Breadth-Return Relationship,” Management Science, 59(5), 1076-1091. Ling Cen, Gilles Hilary, and K. C. John Wei (2013), “The Role of Anchoring Bias in the Equity Market,” Journal of Financial and Quantitative Analysis, 48(1), 47-76.